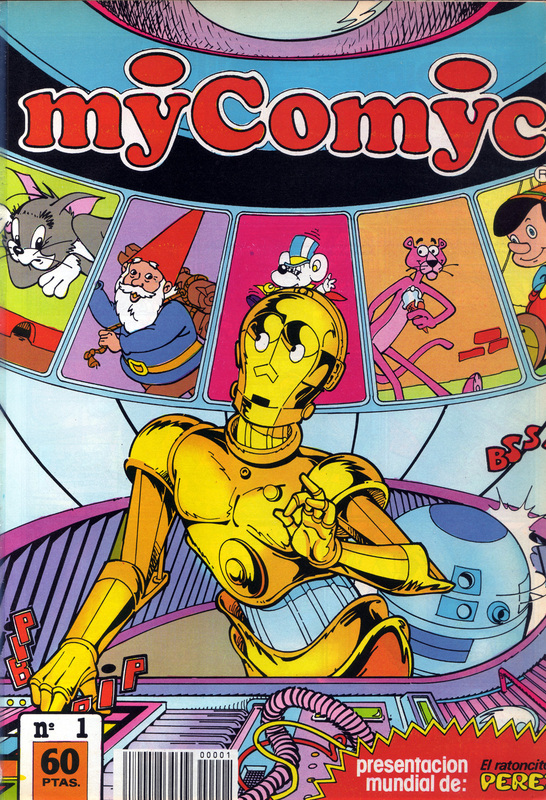 Up until now, few people knew about the Droids and Ewoks comic strips that were published in the Spanish MyComyc magazine in 1987. Most people probably thought they were reprints of the Marvel Comics series based on the short-lived cartoons from Lucasfilm. The comics strips were each 2-pages long and ran only in the first eight issues of the series, among other kid friendly stories starring characters such as Pink Panther, Inspector Gadget and Tom & Jerry. It turns out that they were original, probably unlicensed stories. And now, the whole saga of their recent discovery is available, along with summaries of each story and even downloadable scans translated in English by Abel G. Pe?a, in Rich Handley's latest blog Droids and Ewoks Return: Spain?s Lost Star Wars Comic Strips. Go there now to find out everything about this obscure part of Star Wars lore! Talk about it in the forums.